New jobs have been created at a nursery in Beverley after a £150,000 expansion to meet the childcare needs. Educare, a family-run nursery, has been able to generate six new jobs after the construction of a first-floor extension. The extension will create more spaces for children, meaning the setting will have over 100 spaces. The owner of Educare, David Whincup said to the Hull Daily Mail: “The take-up of free provision has increased notably since September and there is a lot more demand for the out-of-school club during the school week and during holidays. “We have invested a total of £150,000 in construction, decorating and equipment and have funded it ourselves to create more space, accommodate more children and support more families in the area. “Awareness of the free childcare is increasing among parents but some nurseries have struggled to provide it. The extension has created space for a sensory room and a new library, with the current space being reconfigured to create more room for the nursery’s out-of-school and holiday clubs. This impressive extension has created 20 more spaces for children at the nursery, increasing the total occupancy level to 110. As well as this, it has created 40 more spaces for the out-of-school club. Educare opened its doors in 1998 with 12 staff, and this will now increase to 35, thanks to the expansion. 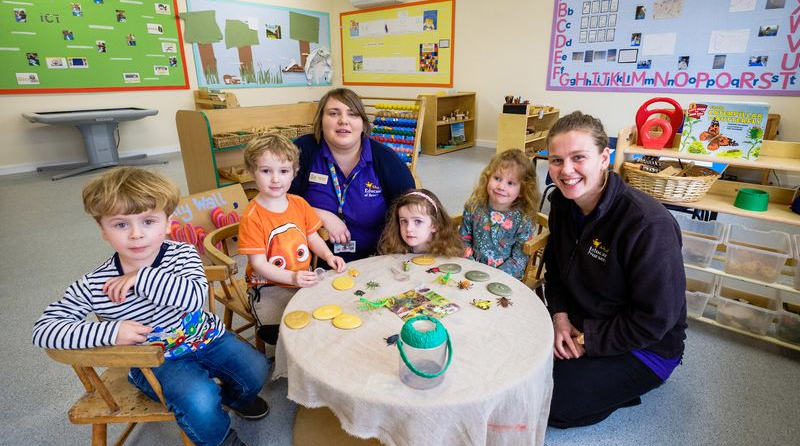 Becky Dawson, the team leader who has worked with Educare for the last 9 years, said to the Hull Daily Mail: “The quality of space and the facilities has improved so much over the years and the children and their families absolutely love it. Abbie Wilson, who is one of the new recruits, had previously worked for the nursery before leaving to go to Australia. She reapplied for the job in October after hearing that Educare was recruiting. She said: “It was the perfect opportunity for me. I started at Christmas and it’s been great.